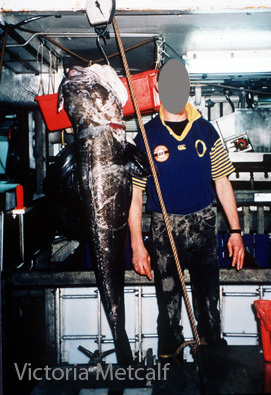 A typical sized Antarctic toothfish caught by a New Zealand fishing vessel in the exploratory Ross Sea fishery. The latest round of annual talks of the Commission for the Conservation of Antarctic Marine Living Resources (CCAMLR) have just wound up in Hobart. For the fourth time running they looked set to fail to reach a consensus on the establishment of large Marine Protected Areas (MPAs) in the Ross Sea and Eastern Antarctica. *Since publishing this post they have confirmed to have failed. In an ideal world perhaps marine exploitation of the Antarctic would never have occurred. Gaining agreement on Marine Protected Area proposals around the Antarctic in discussions at the present time would then seem under such a scenario to be a straightforward business. In reality though, pretty much as long as there’s been awareness of a Southern locale, marine exploitation has happened. These days the currency has moved from an earlier focus on marine mammals to mainly toothfish and krill. And when currency and nations are involved, getting agreement is as messy as my currently mangled left index finger. What is CCAMLR and CAMLR? 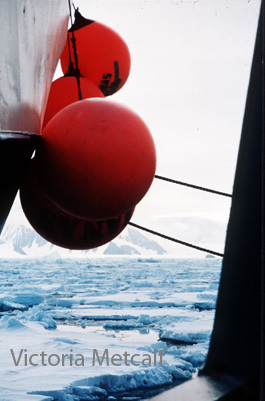 CCAMLR has existed since 1982 when concerns about marine resources in the Southern Ocean first intensified. It was established following the passing of an international treaty the Convention for Antarctic Marine Living Resources (CAMLR), with relationships to the Antarctic Treaty System. CAMLR covers the conservation of Antarctic populations of finfish, molluscs, crustacean and sea birds found south of the Antarctic Convergence current. Marine mammals are covered by a separate convention. CCAMLR is an international commission with 25 Members (24 countries and the EU), and a further 11 countries have agreed to follow the Convention. The Commission agrees on a set of conservation measures that determine the use of marine living resources in the Antarctic and feeding into this is scientific data via the CCAMLR Scientific Committee. However, although it is sometimes touted at the political level that the decisions at CCAMLR are based solely on the best science, it’s very apparent as with any policy that science is but a small step in the process. Some of the main drivers for decisions are values and politics/policy. With strained relationships between some of the participating nations and nations that have consistently blocked proposals in previous meetings, there was not much hope of progress in the current meetings. Under the Antarctic Treaty System created in the late 1950’s, Antarctica is a continent principally devoted to peace and science. Effectively, the land areas are protected but the same protection does not apply to the marine environment, leaving it more vulnerable to exploitation, hence the subsequent creation of CCAMLR. Arguably too, the marine environment may well be more sensitive to the various stressors acting on it, including climate change impacts, ocean acidification, pollution and of course fisheries activities. Present and future pressures are not limited to one of these factors but all of them acting together in somewhat of a pressure cooker scenario. Scientists like myself are studying just what fates await marine life facing these kinds of threats. For many reasons, Antarctica is viewed as an amazing natural laboratory for a wide range of scientific disciplines and studies. Antarctica due to its polar position is a unique and inhospitable environment. It’s also fragile, as polar regions can be more sensitive to the impacts of environmental change to other areas. It is home to numerous unique species, found nowhere else, with fascinating adaptations to such a hostile environment like antifreeze in fish. These adaptations leave many species vulnerable to changes for example, to increases in temperature and thus, the ecosystems in Antarctica exist in a delicate balance. Why should we care about the Ross Sea? The Ross Sea in Antarctica has been described as the Last Ocean, as this is one of the most pristine and untouched oceanic regions on earth. As such, it offers the chance to investigate (and potentially protect) relatively unaltered ecosystems and compare with those that have been impacted more heavily by human activities, as well as investigate the weird and wonderful inhabitants of the Antarctic marine realm. The Antarctic toothfish is a top predator, filling a role similar to sharks which are absent from the Ross Sea and is also an important food source for marine mammals. It’s also a prime fishery target as it is a very delicately flavoured and textured fish. Toothfish (Antarctic or its sister species the Patagonian toothfish) is marketed as Chilean sea bass and is one of the highest priced fish on the market. It has also been subject to high amounts of illegal fishing activities. The Antarctic toothfishery in the Ross Sea is not new- it has been designated as an ‘exploratory’ fishery for over twenty years. New Zealand vessels now take the bulk of the Ross Sea fishing catch. The proposed Ross Sea MPA could create the world’s largest marine reserve and has been in the planning for a decade. The size and structure of the MPA has changed and significantly reduced in between previous unsuccessful CCAMLR meetings in an effort to reach a consensus agreement. So on one hand New Zealand has a strong commercial interest in the region. On the other hand there is a strong conservation push from New Zealand to create a MPA. Potentially then, there are conflicting agendas and mixed messages being portrayed. A phrase in Article II of the Convention has been contentious for a long time: “For the purposes of this Convention, the term ‘conservation’ includes rational use.” Rational use does have highly varying definitions, depending on the user and their values. Countries vary in their approach to exploitation of marine resources. CCAMLR is forward-thinking in practising an ecosystem-based management approach (taking into account not just the impact on the target species but on all the species it interacts with in the ecosystem it resides in) to conservation. Notably though as per Article II above, this does not exclude harvesting as long as such harvesting is carried out in a sustainable manner and takes account of the effects of fishing on other components of the ecosystem. However, there are differing perspectives over what ecosystem-based management really means (ecologists may for example view the term quite differently to fisheries scientists) and the same can be said for a definition of what is sustainable. For example, sustainable with respect to fishery quotas means maximum yields are generally achieved when populations are decreased to just 25-30% of original levels, a value many members of the public may be unaware of. In the case of the Antarctic toothfish catch, this is set at a ‘conservative’ 50% decline. The determination of original and changing stock levels is only as good as the data and models used to create the stock assessment in the first place. Intensive and very robust effort by fisheries scientists has been poured into understanding the stock over many years. It’s worth noting a caveat, however. Much of the fishing activity occurs in areas where naturally there are higher levels of fish stock than surrounding areas, meaning it is quite possible the stock models may overestimate the absolute levels of fish. It also doesn’t mean that we have a complete understanding of toothfish biology based on actual as opposed to modelled data nor understanding of the broader ecosystem components- in fact far from it. With the importance of, the fragility of, and the need to better understand the Ross Sea ecosystem it inherently makes sense to have the majority of the Ross Sea designated as a MPA. Where to from here for Antarctic MPAs? Both the large Ross Sea MPA proposal promoted by US-NZ and a smaller set of reserves in East Antarctica championed by Australia, France and the EU have failed to pass with no consensus agreement today. A consensus approach where all parties agree is both a strength and in this case perhaps a weakness. The proposals are supported by all but a very small number of nations- maybe at this point just two countries Russia and China blockading. Due to political and territorial matters, rather than the science, reaching consensus using the current approach may yet be a long term or even an impossible goal. It seems at this point that a different approach might be required if the Ross Sea is ever going to receive some protection. Or more importantly the protection the ecosystems within the Ross Sea require for optimal ecosystem health, given that other stressors, especially ocean acidification and climate change, will significantly challenge marine life even if partial MPA protection of the Ross Sea is enabled in the future. I run a science communication exercise in classrooms where we role play the CCAMLR negotiations and the prelude. Students get allocated to a country and a role (NGO, fisheries representative, CCAMLR representative/diplomat, government or Antarctic scientist). They get a chance to push their role play perspective with one aim to understand that science doesn’t operate in a vacuum. They get to contribute to their country’s position and then voting occurs. At present I don’t operate a consensus system to keep things simple within a short time frame of 50 min. Interestingly, the overall votes under this scenario always favour creating a MPA. I wonder what would happen if I returned to those same classes and tried the consensus approach? I wonder what would happen if CCAMLR meetings were open? What was your team’s decision about the creation of these marine protected areas? How well does that sit with both your own personal values and what you know about Antarctic marine life? Is the outcome the same as what happened at the actual CCAMLR meeting or is it different? Is there some action you want to take based on your decisions to affect the outcome at the next CCAMLR meeting either way? Is there more information you want? These questions though aren’t just for children, they’re for all of us. What do you think about the continued failure of the MPA proposals? 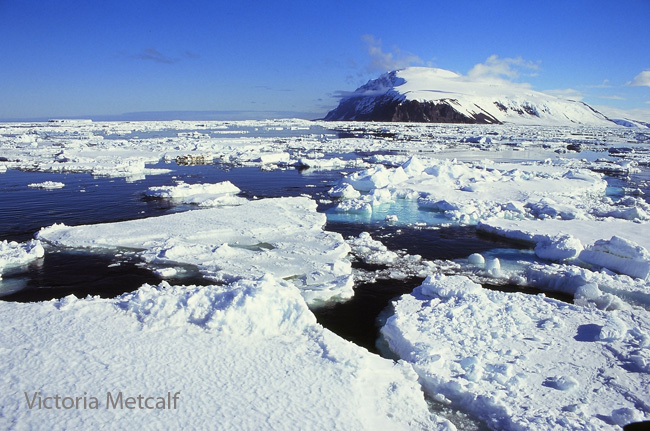 Will the Ross Sea ever receive protection?